We are passionate about inspiring positive organisational development, and about helping organisations to become both more focussed and more connected. 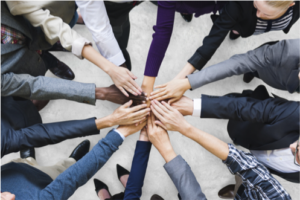 Our vantage point is unique since we work with many senior executives, HR leaders, D&I leaders, and employee networks. Interestingly enough the material and insights we use with all of these audiences is quite similar. Our flagship initiative for the organisational journey is Mindful Exclusion. Click here to read our Director’s thought piece on this topic, featured at the 2016 World Economic Forum. Click here to check out our Mindful Exclusion web site. Ezra Anajonu narrates this video of client testimonials, discussing the award-winning mentoring scheme he ran with CSL for the EDF Energy BAME network.